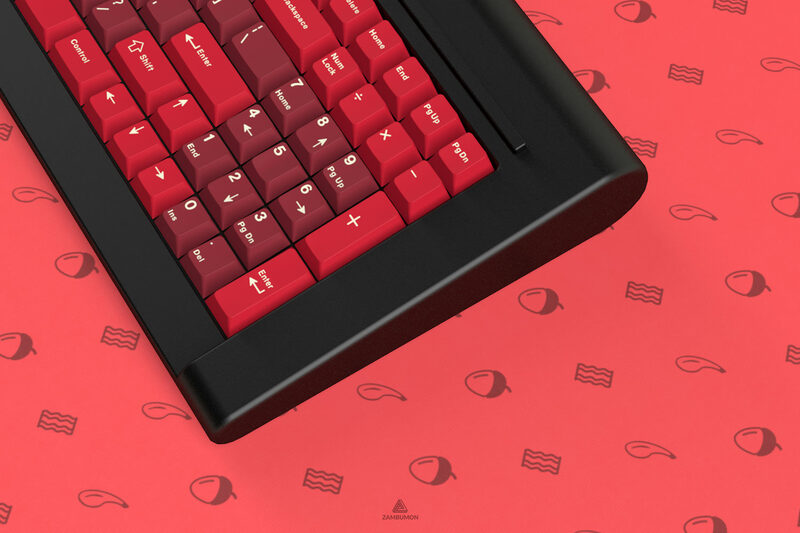 Check the OP for more info or head over the GMK Jamón project page! Hi Zambumon. Definitely some very nice updates. One small question. Any chance of including those 2.25U and 2.75U spacekeys into the spacebar kit? New kit is brilliant, even better than before. With this colorway I can really imagine using it 24/7, not just to flex. Also, new novelties are prima! I am a little indifferent to the bacon novelties, but adore the pig, egg and leg of ham novelties. I would be very strong in favor of the egg novelties being part of the standard novelty pack. I'm in! Love it. This is sooo hot. Thanks Zambumon for putting this up. On my previous version of the set I had them on a spacebar kit, however I didn't like the idea of having the very same keys on two different kits. 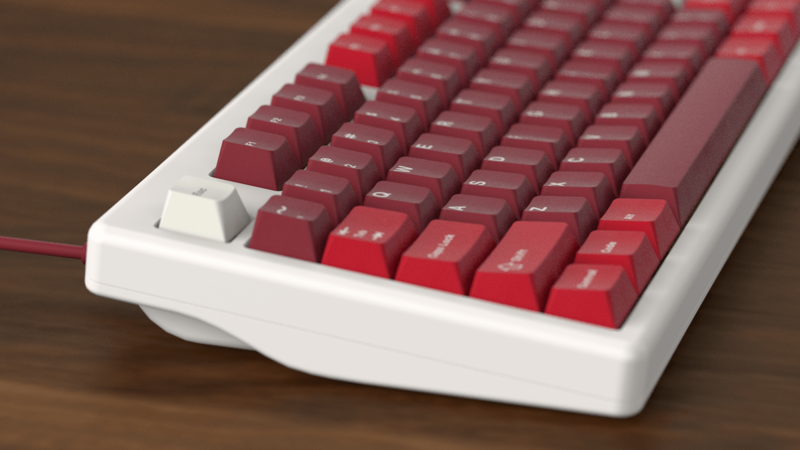 Since there's definitely an overlap between 40s and split spacebars, and we have a smaller core kit, I thought about the idea of just including both of them in the same kit (and add some incentives to people with Ergonomic keyboards such as the Alice and include a second B). This is one of the changes I'd like to review before locking the kits. Have you considered making a macropad just for the Ñ kit? Like this one? It's not in my plans to make one, because I've such a long backlog of projects and there are plenty of macropads. I want this very much. 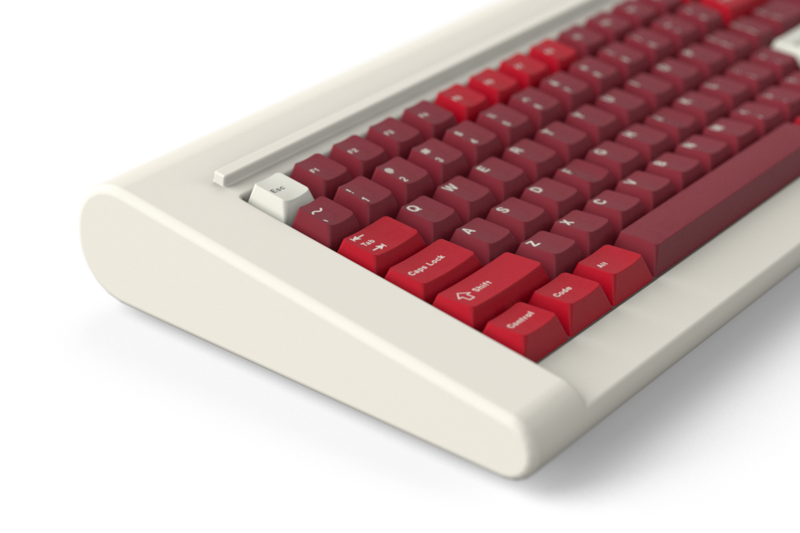 Would it possible to add vim caps to a novelty kit? Really hope you'd consider adding those spacekeys again to the spacebar kit. It'd make a lot sense to get all the spacebars and spacekeys in one kit. I'm a 60% user with split space layout, so a base + spacebar kit would be ideal for me. Was going to say novelties together would be nicer but that makes sense. Kits look good! Thanks for explaining. I understand your reasoning but I don’t personally agree with it - I personally wouldn’t want a whole row of bacon and I think the use case you describe is perhaps relatively limited. But I’m just one person and it’s your call of course. Regardless, I love your work and will be in for it whatever you ultimately decide. Just checked out the project page. Bless you Zam for fully kitted ene survival kit tokyo60 renders hahaha. love the idea of doing a core kit without the numpad! It is possible, but unlikely. Oh, you know I'm already on one. Just waiting for the drop! 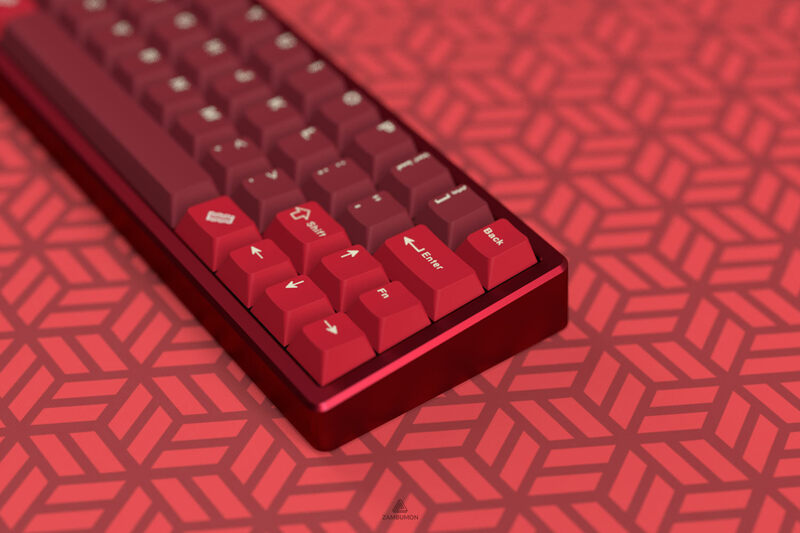 Not really into red keysets but this look real nice. I love the Bacon Invasion and Pata Negra! Year of the pig, how does it sound to you? I know you have mentioned multiple times that you will not go for Japanese sub-legend alpha kit. But more I see the renders more I get convinced that this kit deserves in this color scheme. GMK Red Samurai with mustard alpha didnt do justice to that set and hence I avoided it. I implore you that before you refuse again, please consider this kit one more time. I understand you want to keep the cost low, which I think shouldnt be that high for this kit as moulds are already there. At worst MOQ will not be met, which I highly doubt given success of Laser and Red Samurai itself. So 2019. Sweet! Perfect year to match the theme! I like what this guy said...not interested in Japanese sub-legends. I really like how the kits are broken up, really efficient for people with only 60%-TKL boards. The set looks great. Absolutely interested! I implore you that before you refuse again, please consider this kit one more time. Japanese sublegends have never been, and won't be considered for this set. Not going to happen. And I could give you now a vague answer about other legends, or that I might introduce new kits (even better, post new kits on a weekly basis), or tease an alternate colorway increasing the page count and exposure of this thread... This set, at least most of its structure, is ready for the group buy stage. Of course, there's room for tweaks, small additions, moving some keys around, but I'm not going to perform any major changes to the kits. Ergodox kit, or any standalone kit that doesn't depend on the Core, because that's basically another Core. Hiragana, Hangul, Cyrillic, or any other kind of sublegends/novelty legends. Neither as an add-on kit nor as a secondary Core. Yes, I know that I've included an Ñ kit, but that kit doesn't make sense in any other set other than Jamón, it is a reference to the April Fool's joke, and it's actually very cheap to make because it's the same legend 25 times. Nordic & German kit. I could go deep and explain why if you guys want to, but the TL;DR is that given the interest on this set and my expectations, previous data from recent (and not so recent) group buys, and that the European purchases are a minority, this kit is far from reaching MOQ. Alternate modifier sets, that's completely suboptimal for any GMK set. A second Core with alternate alphas and modifiers. Colors are not for me but thanks for stopping the curent GB trends: 42390 kits plague, eventually with weeb sublegends, extra 435 colors for modifiers and an unnecessary amount of duplicate keycaps to use eventually on other keyboards. edit: wew even the accents are included in the base kit like it should be, we are doing huge progress right here. We are really going toward the right way now, keep it like that, you are doing a great job (now). The only weird addition on the Core kit is the second tab so you can reuse the mods with other sets. The rest we could say is "a standard GMK base kit". Time to announce one of the collabs I'd like to do with Jamón. 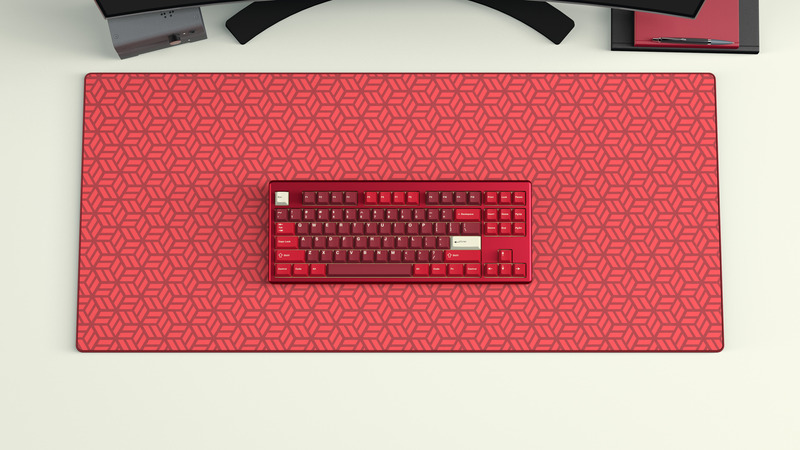 Hexagon Red is a variation of the Hexagon Dark design Serika had, a general purpose deskmat that you can use with many other keysets. Acorn, Bacon, and Jamón novelties on a deskmat. Very nice indeed. My only request is to have them available in smaller size for people with smaller desk? 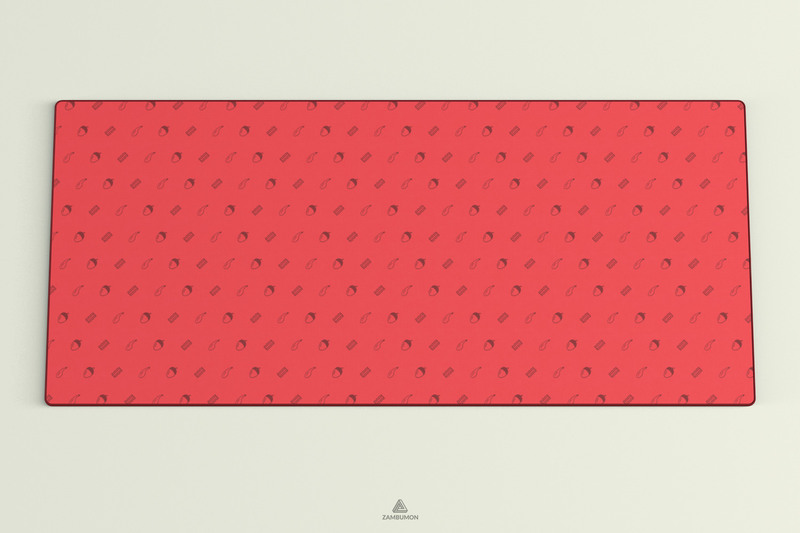 I remember the desk mat for GMK Camping was available in both 900x400 and 320x420. I don't have a big desk and 900x400 overcovered my area of work. That shouldn't be a problem. Excellent desk mats, I am pretty sure I'll get the acorn one. It's giving me a whole Hermes tie vibe, which is quite the compliment! Thank you so much! Last time the Serika mat was offered, it was only available in 900x400. This time will be an automatic join for me for sure. Love the hexagon design and the fact that it can fit with a wide variety of theme. Small question. Will it be before or after the GMK drop? Any chance we could also get some smaller and split white spacebars in the spacebars kit? Small boards like some fat on their Jamón too! So just adding keys to the spacebars kit and leaving the forties kit as it is is not an option? (So they’d be similar to the Serika spacebars and forties kits). If I add those split spacebar keys to the spacebar kit, it will be only in detriment of the 40s users, which is the primary group that uses these spacebars. There's already short spacebars on the 40s, and I've also included a second B so you could have both Bs on the left and right sides. While R0 and R5 are interesting feature, it would make the kits more expensive and these days it's super important to keep the sets as affordable as we can. 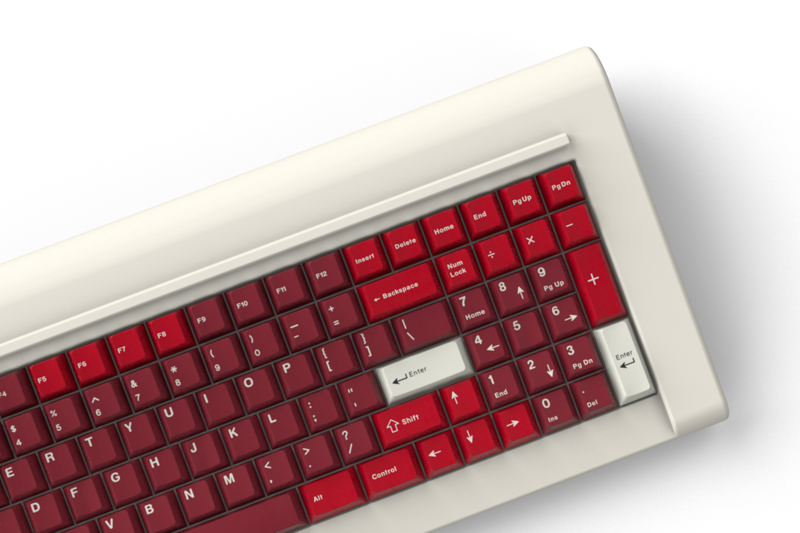 I personally prefer a red keyboard, white would be a little bit jarring for me. Thank you for this. It sure seems the extra profiles, and their associated costs, hurt the sales of Carbon. I know the sticker shock sure surprised me and caused me to go in for only 2 kits instead of the 8 or so I was originally going to go with....and one of those kits didn't even hit MOQ. I don't think R0-R5 were the main issue there. In my opinion, how the kits were structured played a bigger role and this is why I've been working on this different approach since September. I think I'm going to put this on a white board. A white powder coat board? I have some old renders with a white board so you can get an idea of how it would look. Is it safe to say that this will run around Q2 2019? Page created in 0.122 seconds with 72 queries.